Too crowded at the Classroom Mailboxes? SOLUTION!!! Here’s a genius idea that’s so simple I’m embarrassed that I didn’t think of it on my own. 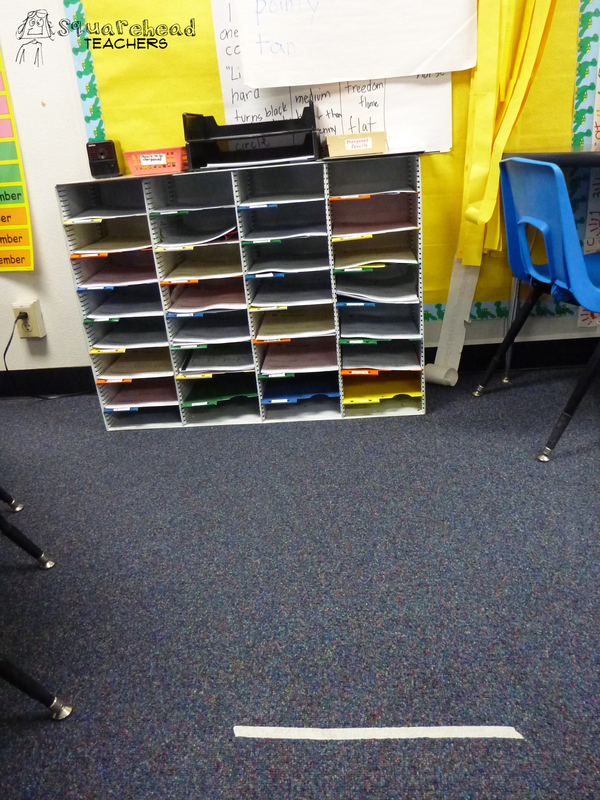 The teacher put a strip of masking tape a few feet away from the mailboxes to help her 2nd graders not crowd around the mailboxes at the end of the day. Her classroom rule is that only 2 students can be in front of the mailboxes at any one time (the rest have to form a line behind the line) and they can’t bring their backpacks to the mailboxes (they should be open on your desk before you go empty your mailbox). AWESOME idea! This entry was posted in Classroom & Decor, Management, Organization and tagged Children, Education, Elementary School, Kids, Teacher Resources, Teachers, Teaching by Squarehead Teachers. Bookmark the permalink.